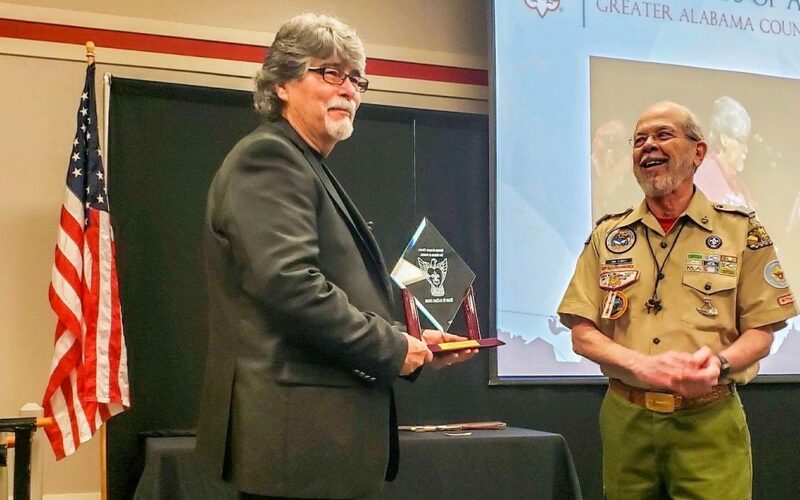 Nashville, Tenn. (March 22, 2019) — ALABAMA frontman Randy Owen was honored by the Boy Scouts of America this past Wednesday (March 20) at the organization’s American Values luncheon held in Anniston, Alabama. Much of Owen’s time is spent helping others through his humanitarian efforts, such as launching St. Jude Country Cares for Kids, an annual radiothon fundraising event that has garnered more than $800 million for St. Jude Children’s Research Hospital. He received the Ellis Island Award for his charity work with St. Jude. ALABAMA and Owen have played a key role in several disaster relief initiatives, including organizing and playing concerts to support rebuilding efforts from tornadoes that struck Tuscaloosa in 2011 and Jacksonville State University (his alma mater) in March of last year.